Our Programs Section is devoted to telling you about the availability of our own programs, but also we want to highlight yours and give any website visitor a chance to see the progress of spay/neuter programs all over the world and perhaps get some new ideas for your own program. Please contact us at ANIMALISSU@aol.com or QuickSpay@aol.com and send us photos, website addresses and contact information that we can post. Our Spay-a-Thon weekend went great on May 19, 20 and 21, 2007. It was the result of a joint effort by the L.A. County Animal Care Foundation and Pet Assistance. The cities of Palmdale and Lancaster joined Actors & Others for Animals in providing spay/neuter for all animals for only $10 each. 175 pets were sterilized! Here are a few photos from the weekend, including our collaboration with Western University - for our feral cat day on Monday. 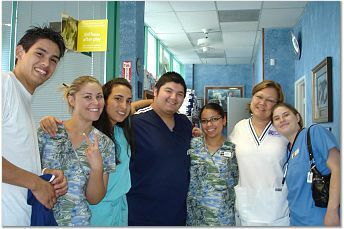 Palm Plaza Pet Hospital and Western were terrific partners. Dr. Gary Latos of Woodland Hills handled the Lancaster shelter clinic, which was booked to capacity both days. The Antelope Valley wants to know when the next one is planned!!?? There is indeed a very high demand for affordable services in the area. No one is more devoted than Craig Neilson to spay/neuter and early-age spay/neuter to help with the pet overpopulation problem in Mexican border towns and to changing the perception regarding the importance of animals in our lives throughout the country. “We celebrated one year in Mexicali this Sunday November 26, 2006. Working Successfully with Veterinarians/Updates from the Gulf Coast Spay/Neuter Recovery Project/Help Fix ME: The State of Maine's spay/neuter program.....plus much more. Costa Rica has no animal shelters. Carla is making a difference in the entire country through spay/neuter and adoption. Actors & Others for Animals was founded in 1971 by Hollywood stars. 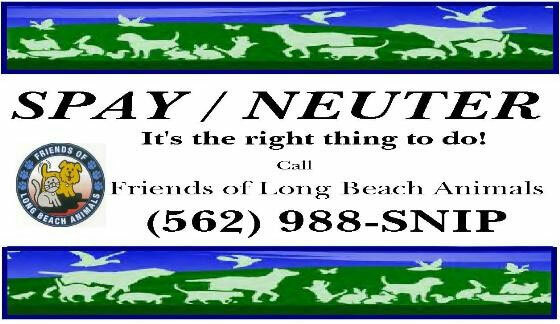 Executive Director Sue Taylor and her staff diligently administer an on-going spay/neuter subsidy program for the greater Los Angeles area. One unique and very special program they offer is free spays/neuters for Pit Bulls and Rottweilers. "News for people who care about animals"